How Much is my Home Worth in Norwood? On January 2, 2019, the median price for a house in Norwood was $360,000. On the same date, the median price of a unit was $274,000. To date, there have been 69 houses sold and 4 units sold this year. Of all the house sales 33 were 3 bedroom houses. The DSR or Demand to Supply Ratio rates an investment in a house as good. 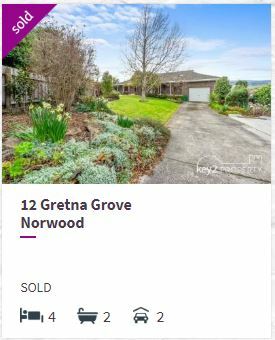 A good rating indicates that demand for houses is ahead of supply but only marginally in Norwood. Vendors are typically getting their asking price. This is a good market for investors. You can expect capital growth to be ahead of the national average. The 12-month capital growth in Norwood is at 6.02% for houses and 14.07% for units. The average annual capital growth is 2.45% for houses and 4.29% for units. It takes on average approximately 58 days to sell a house and 138 days to sell a unit. The gross rental yield is 5.06% for houses and 5.12% for units.